“Take two and call me in the morning.” Of all the words and phrases in the medical world, this is the one so famous, it’s a national running joke. Everyone understands what it means. Well, almost everyone. For the 21.1% of Americans who don’t speak English at home, even the most common of prescription instructions can be hard to follow. Take the phrase “once a day,” for example. In Spanish, “once” means 11. When that’s the only word on a drug label you recognize, overdose becomes easy. Of course, reading the label isn’t the only way to understand what you’re supposed to take. Relying on written instruction alone has long been problematic: Even native English speakers can have a hard time making out that tiny print on the side of a bottle. 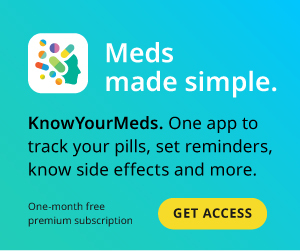 So to make sure patients understand their drugs and their doses, the system has 3 information touchpoints: A conversation with your doctor, the written material that accompanies a prescription, and a final consult with the pharmacist. At The Medical Center at Bowling Green, Kentucky, physician conversation is a must. When hospital staff do their jobs correctly, spokesperson Glynda Chu says patients receive “all the [prescription] information from the doctor before they go to the pharmacy.” This is true no matter what language you speak, but for those who are limited-English proficient, The Medical Center interpreted around 4,500 conversations last year. For a town with only 65,234 people, that’s a high number. Bowling Green has a robust refugee population: 16.9% of residents speak something other than English at home, compared to just 5.2% statewide. The town’s immigrant community is growing so quickly, in fact, that presidential counselor Kellyanne Conway targeted it in her fictional — and infamous — Bowling Green massacre comments in January 2017 as justification for President Trump’s travel and immigration ban from 7 Muslim-majority countries. There’s no law in Kentucky requiring translation of prescription labels or prescribing information — the official term for that leaflet in small type that gets stapled to your bag. But in California and New York, there is. Just over 30% of New York residents speak something other than English at home; in California, that figure is 44%. And when these limited-English people don’t understand their prescriptions, California Pan-Ethnic Health Network says the resulting health implications cost the Golden State $17.7 billion a year, affecting 150,000 patients. Since January 2016, all California pharmacies are required to provide prescription directions in Chinese, Korean, Russian, Spanish, and Vietnamese. To make sure those translations are correct, the law says the pharmacist is personally responsible for accuracy. Label translation is a linguistic Wild West. Unfortunately, the opportunity for errors is high. Prescribing information — which lists common side effects, precautions to look for, and similar information about a drug — typically gets translated by the pharmaceutical company that makes it. But label translation is a linguistic Wild West. Until the aggregation programs that pharmacies rely on can be trusted for accuracy, the study recommends pharmacists handle the situation just like The Medical Center: With conversation. Yes, prescribing doctors should explain how medication should be taken, but so should pharmacists. “They should [post] access to [a] translator in 10 languages,” says National Community Pharmacists Association spokesperson John Norton. To speak with patients whose English is limited, pharmacists can use over-the-phone interpreters, a service Walgreens spokesperson Scott Goldberg says his company has offered for 15 years. Competitor Walmart also relies on an interpreting line, partnering with Portland, Oregon-based Certified Languages International (CLI). Kristin Quinlan is CLI’s CEO and says that, in the average month, Walmart pharmacies request approximately 15,000 interpreters, spending around 80,000 minutes on the phone. Spanish is most requested, she adds, followed by Vietnamese, Arabic, and Mandarin. 10 Reasons to Love Pharmacists!